Branches and birds, trees and nests - they're all the rage. 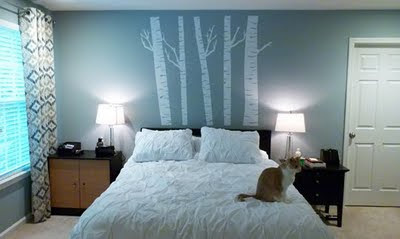 We recently helped Megan, with BonBonRose Girls, design a few birch branches for a DIY project she had in mind for above the bed in her master bedroom. Didn't it turn out great? See her full post here for all the details.